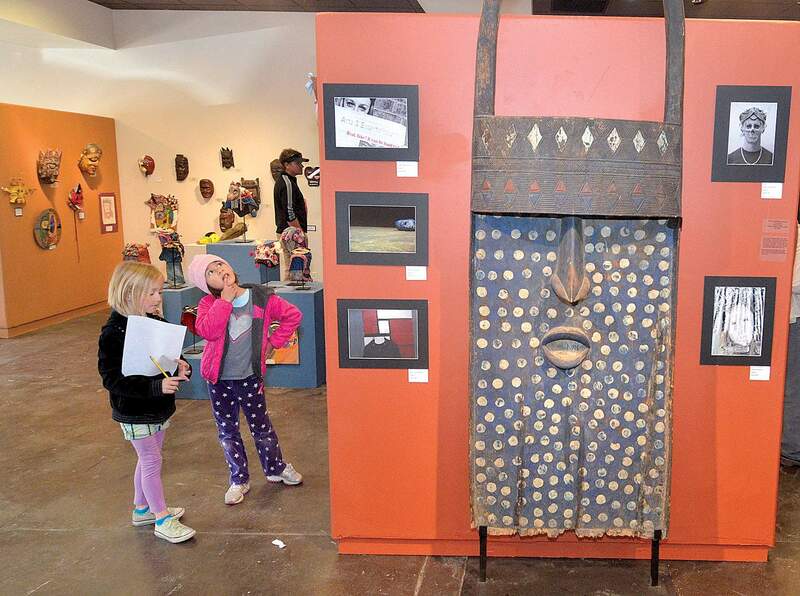 Margaux Newby, 8, left, and Nola Burnite, 6, take part in a scavenger hunt during Thursday’s opening of Creativity Festivity: The Many Stories of Masks at the Durango Arts Center. Margaux is the daughter of Miles and Holly Newby and Nola is the daughter of J. Burnite and Heidi Craw. At right is a ceremonial mask of the Toma People of Sierra Leone, Guinea and Liberia. Kids got inspiration for making their own masks from the current exhibit at the Durango Arts Center, including these Pascola masks of the Mayo people of Sonora, Mexico. Ben MacKenzie, 8, son of Ian and Liv MacKenzie, makes his own mask during Thursday’s opening of Creativity Festivity: The Many Stories of Masks at the Durango Arts Center. 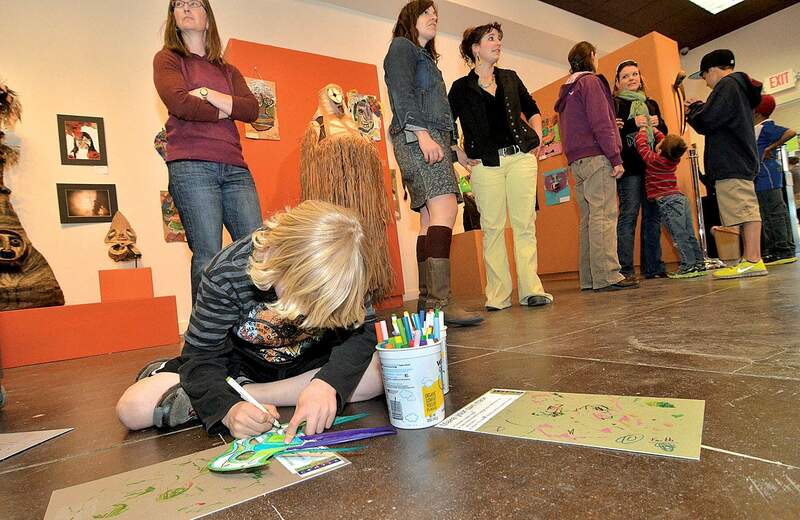 For 20 years, Durango Arts Center has sought to foster children’s art through the annual Creativity Festivity. This year’s version includes a stronger focus on poetry and music as well as visual arts in the two-week long event. “Creativity Festivity has always (celebrated) the creativity of kids of all ages,” said Sandra Butler, education coordinator at the center. For the last school year, Butler and arts center volunteers have worked with local public, charter, private and homeschool students to develop artistic projects in class and at the arts center. Founded by Nancy Conrad, the Creativity Festivity has grown and evolved during the last 20 years and is now a staple in the curriculum of many Durango students. For this year’s event, more than 100 students learned about the history and meaning of masks in different cultures before creating their own in conjunction with the “Masks: Creating Identity” exhibit. “Masks can be anything about identity, ritual or culture,” Butler said. 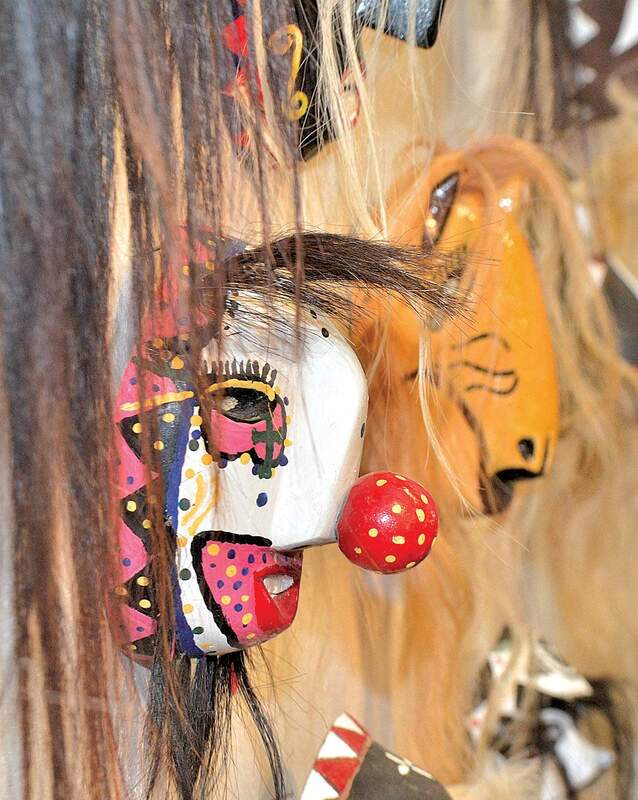 Many of the students’ creations have been incorporated into the professional exhibit, which features masks from around the world. Viewers can expect to see a 19th-century Qing Dynasty mask hanging alongside a Durango student’s replication Viking mask in an interesting perspective about the meaning and function of masks in different societies. “(The students) could interpret it as looking at their ancestry or at their own identity,” Butler said. In addition to their foray into visual arts, the students composed original poetry. Juried by Shay Lopez of Maria’s Bookshop, the selected students have the opportunity to give readings of their work at the arts center. Durango fourth-graders presented some of their first poems at Thursday’s opening of Creativity Festivity. On Wednesday, high school students will perform readings of their poetry. The event will begin with a reading by the nationally known poet John Brandi, whose haiga work is on display in the upstairs art library at DAC. The final event will happen Friday and will feature a steel drum performance by The Stillwater Foundation, a local organization that promotes educational opportunities in the arts and sports. Several high school students will accompany the Stillwater musicians. As this year’s Creativity Festivity comes to a close, Butler reiterated the importance of offering and cultivating the arts for children. Music performance by Durango Middle and High School students and the Stillwater Foundation, 5-8 p.m. Friday. For more information, call 259-2606 or visit www.durangoarts.org.